Fatbikes were big at the 2014 Outdoor Demo. 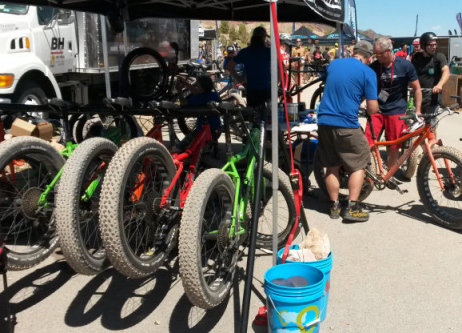 This entry was posted in Updates and tagged bicycle, Brompton, camera, Dahon, Elliptigo, fatbikes, Interbike, Las Vegas, trade show. Bookmark the permalink.